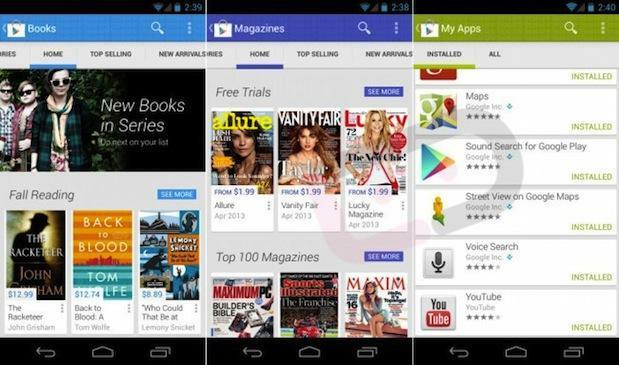 Oh how we love an early look at new and exciting things which is why we’re loving this preview look of version 4.0 of Google’s Play store. The good folks at Droid-Life managed to get their hands on an APK and revealed a new Holo-style look for the Play Store. It’s clearly a preview version as many pages are blank, and a good part of the layout looks very similar to what we’re seeing today. There’s no sign as to when this will go live and with Google I/O just two months away, it’s possible we may not see it till then. If you do see version 4.0.16 however, we’d love to hear about it. Hit the video below and the source link below for more images and detailed descriptions. Rofl. Yeah, that was a bit irritating. admob thing has been moved into Google services app right? I think that’s why it was removed. Did you even watch the video? We are not talking about ad removing apps. We are talking about the ADMOB settings found in Play Store settings which is also in Google settings. 4.0.16 removed that setting which makes sense it was removed from the Play Store. Nice. I hope Google mentions the Google Nexus 5 and android firmware 5.0 Key Lime Pie at the I/O event. The APK. download link get leaked out yet? This new layout is so simple yet makes a huge difference and is much more pleasing to the eye. You got that right. It looks more appealing and simple and brighter. Yay for Google getting their design act together! I must be in the minority here but I don’t like this ui, seems like they are taking a step backwards. Does anyone why they returned to having to download the entire app when updating in the last few weeks? Does anyone know why I can’t shop for “Devices” when I access Google Play from my phone? It shows up as a category when I use my desktop.